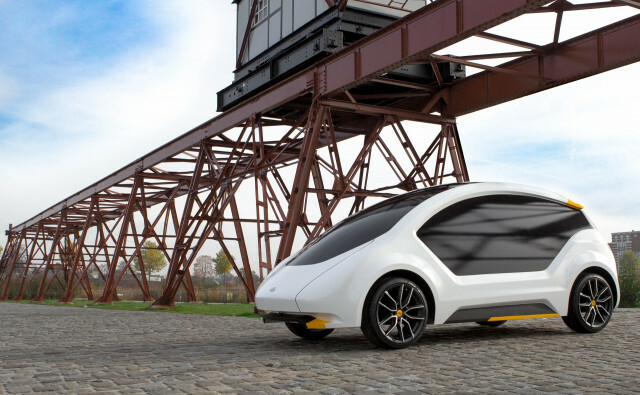 Startup Amber's self-driving cars to hit Dutch streets in 2018? If all goes according to plan, Amber’s self-driving cars will hit the streets of Dutch cities by mid-2018. Amber CEO Steven Nelemans made the announcement at the Hannover Messe, one of the world’s biggest industrial fairs, in April. It’s a bold plan indeed, but the influential automotive consultancy firm Roland Berger recently ranked The Netherlands number one in its Automotive Disruption Radar. So why not? Amber started as a student team at the Eindhoven University of Technology (TU/e). (Disclosure: I work at the university as commercial director and invested €1000 in the team’s crowdfunding campaign back in January.) The university is known for its advanced automotive courses and ambitious student teams. Apart from Amber, other spinoffs include a company working on a new way of energy storage for heavy transport using formic acid and one building a commercial car charged with solar power. Cooperations between the TU/e and automotive companies in the Brainport region of Eindhoven provide a fertile ecosystem for ambitious tech startups. While I didn’t mentor the Amber team directly—either at the university or later at the HighTechXL accelerator in Eindhoven I’m involved in—Eindhoven is a tight community, so I’ve had the chance to watch them closely. And they make for an interesting story. For all their relative obscurity, the young team at Amber has the ambitious goal of becoming the Spotify or Netflix of mobility. They don’t sell cars; they sell access to cars. It sounds like just another car-sharing service, but there’s a twist. Amber says it can guarantee there is always a car available within walking distance, no matter where you are. And they only do electric. I spoke with Nelemans last week when he was in San Francisco talking to investors. “In a nomal car-sharing service, you see a map with the nearest available car,” he told me. Using predictive analysis algorithms, Amber’s software platform calculates where its cars will be needed in the next 15 minutes. Then, under the service’s current, initial rollout, it delivers cars to those locations using students as drivers. If a car is not there when you need it, Amber calls you a cab. “As our software gets better the cabs will not be needed anymore,” said Nelemans. The student drivers will also disappear eventually. This is where Amber’s self-driving ambition kicks in. In between rides the cars have to be able to drive themselves to their next users. All that without a human on board and by mid-2018. It sounds ridiculously overconfident, but Nelemans has thought it through. In the beginning Amber will let its cars drive themselves only at night when roads are empty. By making nightly miles the cars accumulate data, learn, and become better. Eventually they can self-drive during the day, first on easy backroads, later in busier traffic. “Other companies working at self-driving technology have trouble testing because they always need an engineer behind the wheel,” said Nelemans. The fact that there’s no human on board that needs to be protected during this initial self-driving stage also makes it safer. “[For the time being,] we designed the car so that it takes all the heat in an eventual accident, sparing its surroundings,” Nelemans told me. The startup isn’t breaking a sweat over developing its own self-driving software. Amber is partnering with five different software companies and research institutes, including Nvidia and Microsoft, that have already developed self-driving software. It may not be state of the art, but Nelemans says it’s good enough. Right now the BMW i3 is Amber’s electric car of choice. 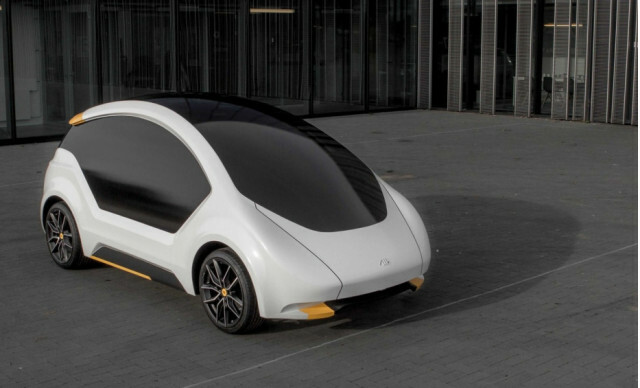 Yet the company is also building its own electric car, The Amber One, expected in 2021 and designed to last a million miles. It’s equipped with modular components that can be easily replaced. “A normal car is built to break down after 200,000 miles, because car companies make money in repairs and they have to sell new cars,” Nelemans said. “If Google, Uber, and Tesla would join forces, you would see a fully self-driving car on the road in a matter of weeks,” said Nelemans. “But they all want to be first. That’s why they’re constantly stealing each others engineers." And whereas disruptors like Uber and AirBnB are often exchanging punches with local governments, Amber has been successful in forming government partnerships. 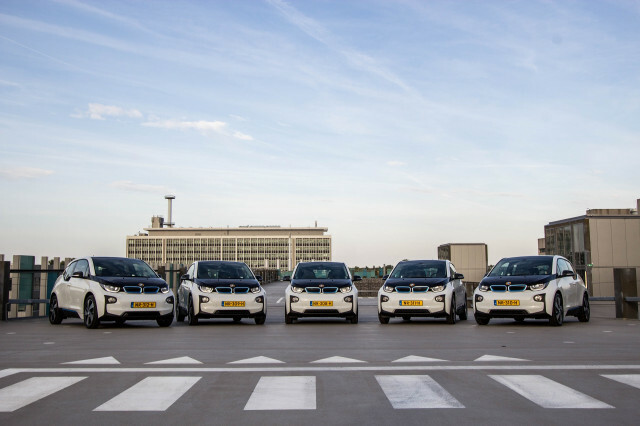 The cities of Eindhoven and Helmond have already voiced their support for Amber’s mission, offering them city streets for testing self-driving cars and local networks for finding investors. The startup has about 10 experienced advisors that are providing pro bono advice and expertise. “Sometimes their ambitions seem unrealistically high,” one of their advisors, Carlo van de Weijer, told me. Nelemans has sometimes expressed disappointment at what he calls a lack of ambition in his home country. There’s a famous saying in Holland: normal is crazy enough. Being a nation of traders and bankers, the Dutch tend to frown at goals that seem too far reaching. Nelemans isn’t afraid Amber will suffer from the kind of problems that have plagued Uber. Neither am I. He seems too level-headed to start shouting at employees. At the same time, he can’t be accused of too much modesty either. When I asked him whether his mobility-for-all mission would stop at conquering The Netherlands, he snickered. This article, written by Bert-Jan Woertman, was originally published on VentureBeat, an editorial partner of GreenCarReports.